After beating Newcastle 48-42 in the first fixture, the Hammers knew they’d taken a big step towards a top four finish. And when the news came through that Berwick had failed to claim all four points despite victory at Ipswich, the Hammers were certain of their play-off spot before a wheel had been turned in the second meeting. Despite Nick Morris roaring to a stunning 18 point maximum, it wasn’t enough for the Hammers who fell to a 50-40 defeat at the hands of the league leaders Peterborough. 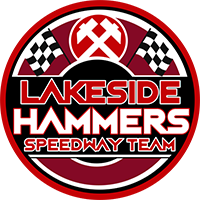 But Lakeside team manager Will Pottinger was just ‘relieved’ to see his side cement their place in the end-of-season shootout alongside Peterborough, Glasgow and Workington. “Changing your home track so late on in a season is far from ideal so for the riders to come up with the goods in the first meeting and book our place in the play-offs was a huge relief,” Pottinger said. “We know one win would be vitally important and that’s how it proved. “I thought all the lads settled in well as a team for the first meeting against Newcastle and overall there were plenty of encouraging signs to take forward for the remainder of the year. 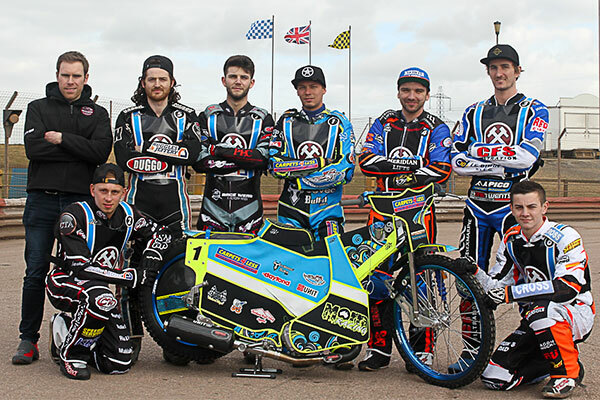 “Yes we were of course disappointed to lose the Peterborough meeting, but they came into it fresh whereas we had already done 15 races and had Adam (Ellis) soldiering on with a shoulder problem and of course we were already without Kyle (Newman). The four play-0ff teams are confirmed as: Peterborough, Glasgow, Workington and The Hammers. Nick Morris 18, Richard Lawson 7+3, Matt Wethers 7, Adam Ellis 4, Alfie Bowtell 2+1, Ben Morley 2, Kyle Newman r/r. Bradley Wilson-Dean 10+1, Emil Grondal 10+1, Ben Barker 8+2, James Sarjeant 7+2, Michael Palm Toft 7+2, Carl Wilkinson 6, Ulrich Ostergaard 2.